Magnetic North Travel is a specialist Nordic tour operator. Formed in 2010 the team has travelled extensively across the Nordic region and creates high quality experiences for its guests. Elements basecamps will be managed using the same attention to detail and personable service. Elements is unique to Magnetic North Travel. We’ve brought these experiences to life through our own first-hand experience of Nordic outdoor learning which has enabled us to bring a taste of Nordic outdoor life to our guests. Our team are true experts in the Arctic and Nordic destinations. We spend a huge amount of time travelling in the North and experiencing destinations first-hand. Elements enjoys the same attention to detail that has made our signature programme so successful. 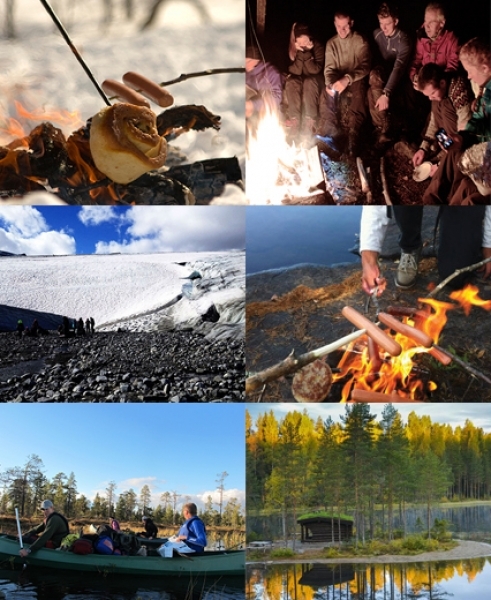 Elements is a unique mix of Nordic pedagogy, outdoor learning and positive education. We have a team of educational experts both in-house and at each of our basecamps, which are primarily Norwegian Folk High Schools. Our approach is to offer guests the opportunity for self-development through immersion in natural environments. Magnetic North Travel complies with the package travel regulations 1992 and offers financial protection through its ATOL. We are also fully accredited IATA agents. A honeymoon in Sweden. And the sheer audacity to 'have a go' led to the beginning of Magnetic North Travel in 2009. Years on and thousands of clients have travelled to Scandinavia and the Nordic countries with us. Each of them has experienced the same passion the founders felt back then and do to this day. Elements is Magnetic North’s latest Nordic venture offering for the first time the chance to experience Nordic outdoor learning amidst stunning natural beauty. Elements is both educational and life-changing – bringing school groups and families together in nature to transform their thinking and boost their confidence.